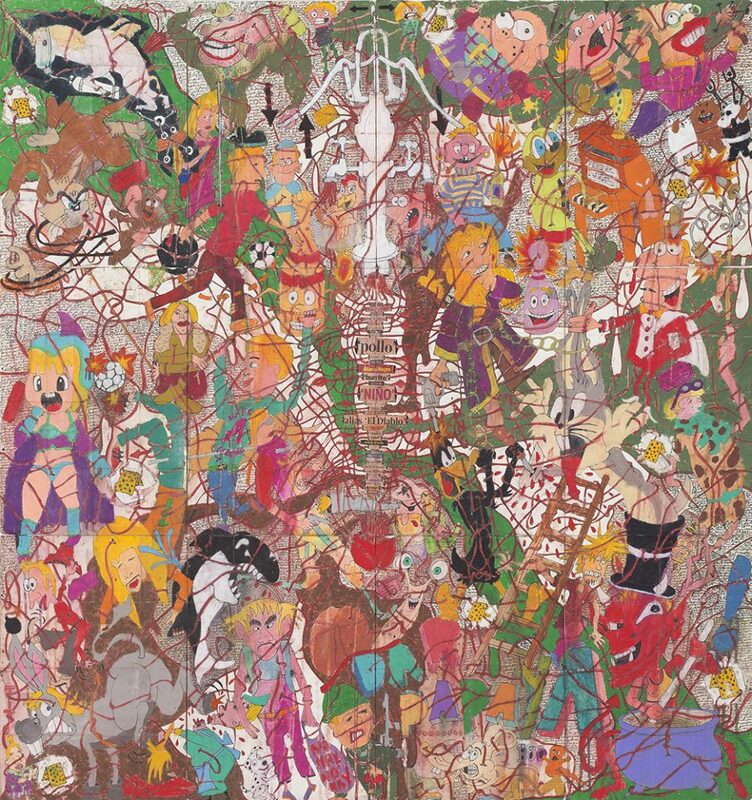 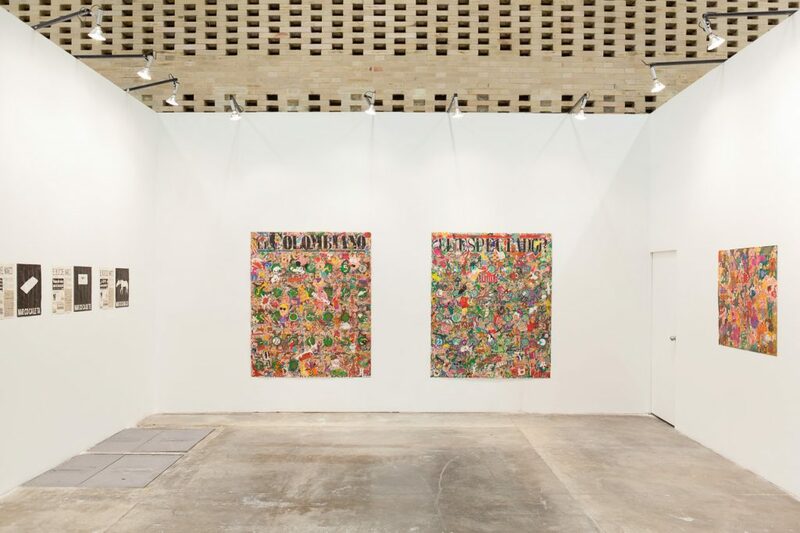 At the 2016 edition of ArtBo, Steve Turner will present a solo exhibition by Medellín-based Camilo Restrepo that will feature new works from two ongoing series (A Land Reform and Any September Is A Black September Down Here) as well as works from a new series, El Bloc Del Narco. 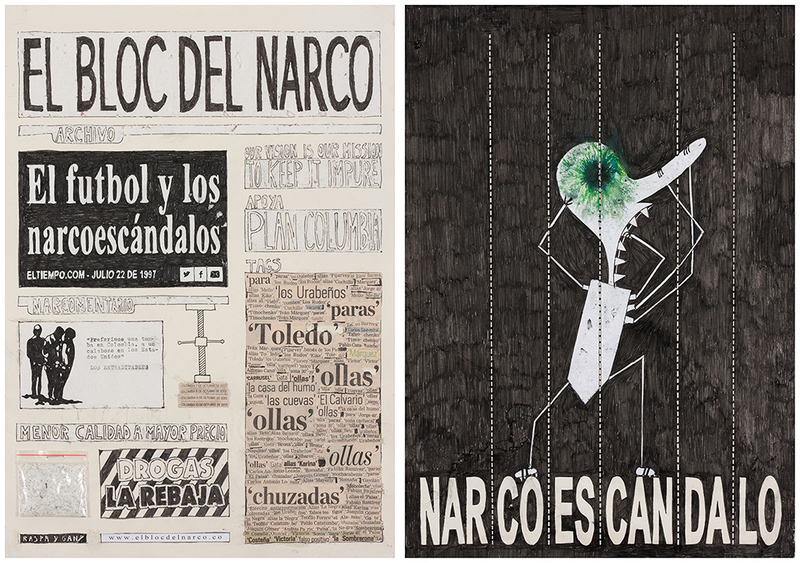 In all three, Restrepo collages newspaper clippings of criminal aliases that he collects on a daily basis. 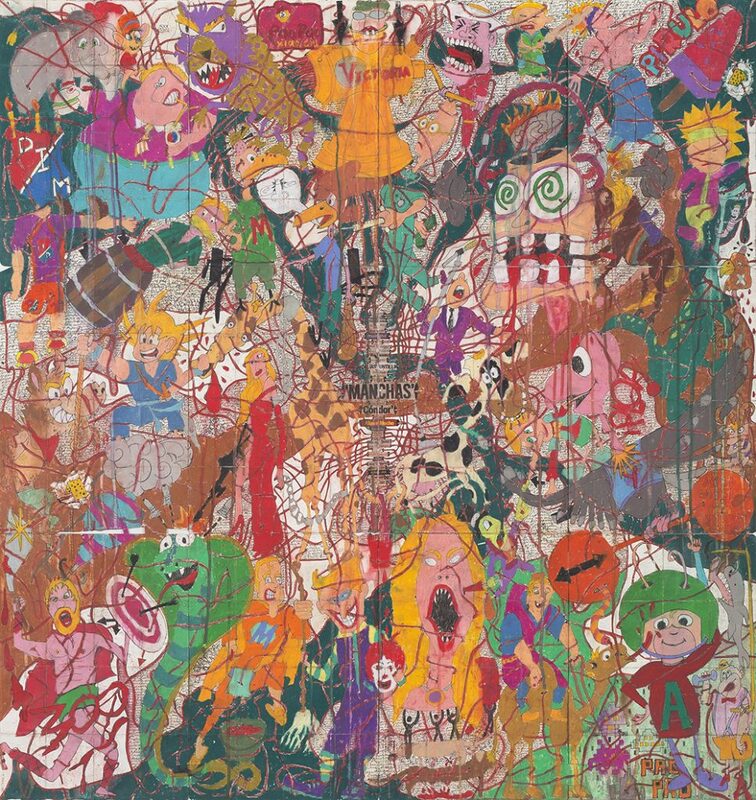 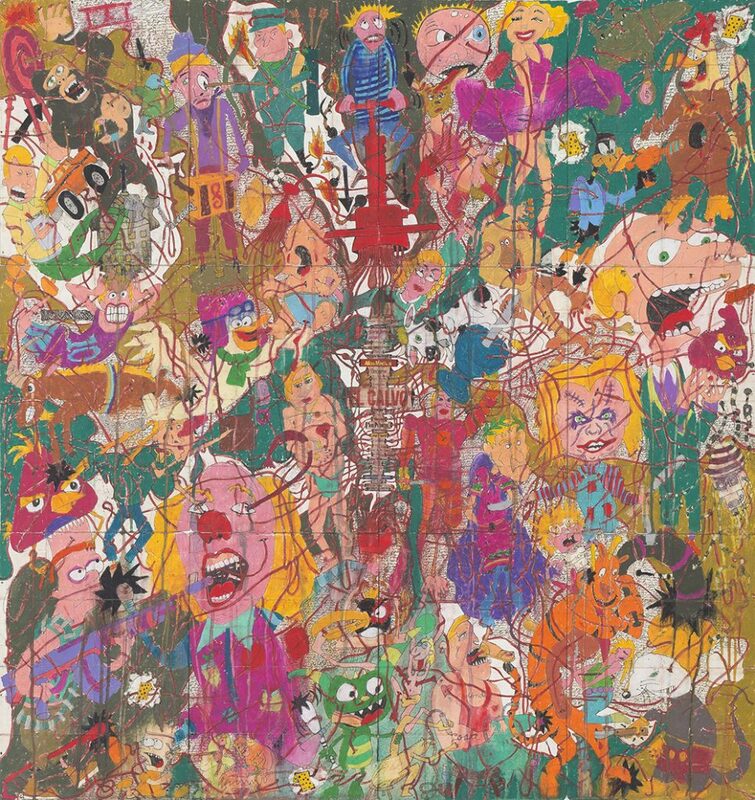 He then draws, in comic-strip fashion, images that emphasize the absurdity of news reports that describe murder and mayhem by the likes of Popeye, Barney and Mickey. 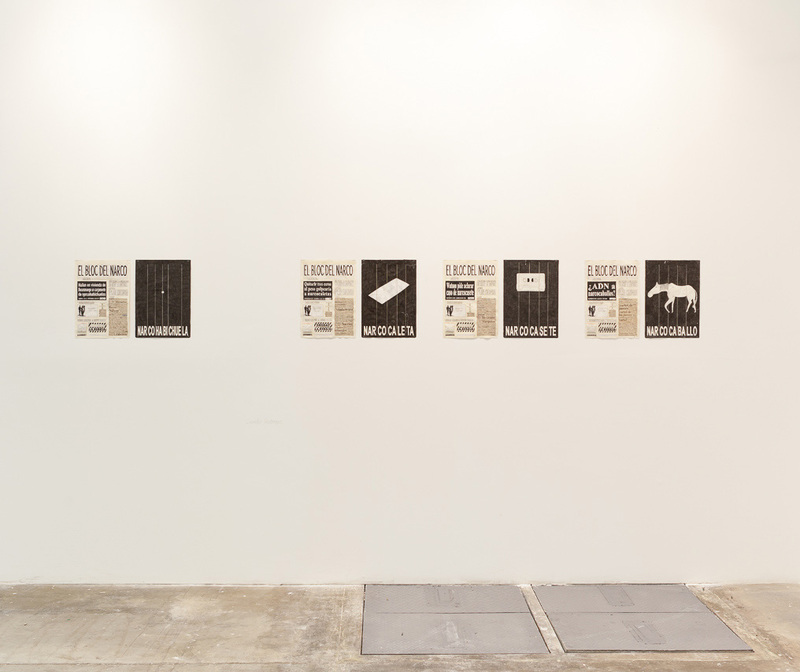 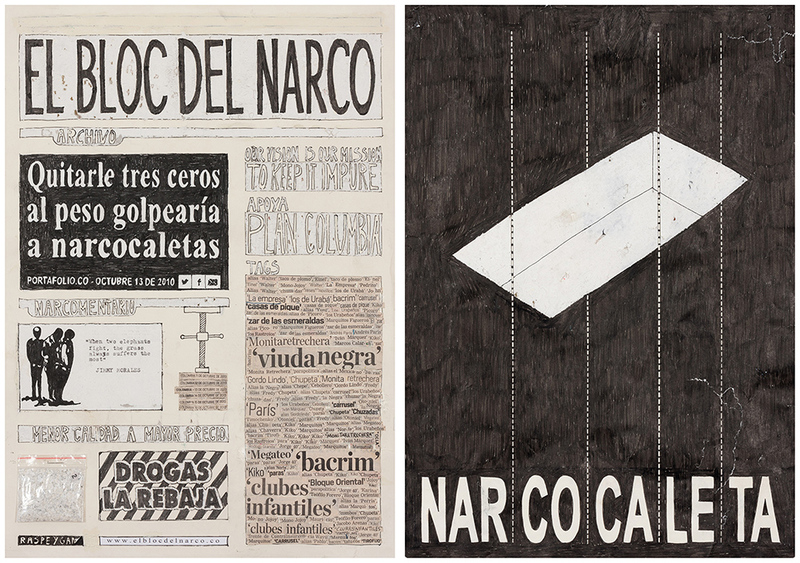 El Bloc Del Narco consists of pairs of drawings that address the linguistic effects of the Colombian war on drugs. 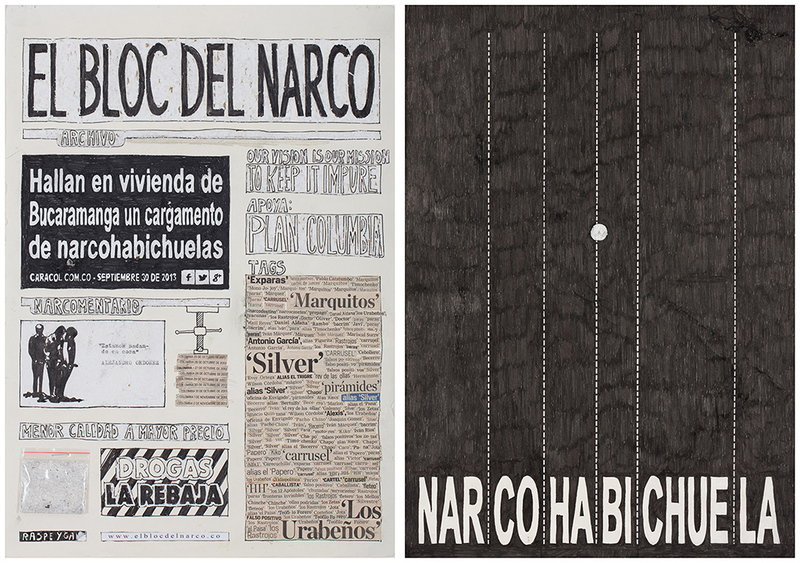 In each work, Restrepo highlights a word with the prefix “narco” that appeared in popular media. 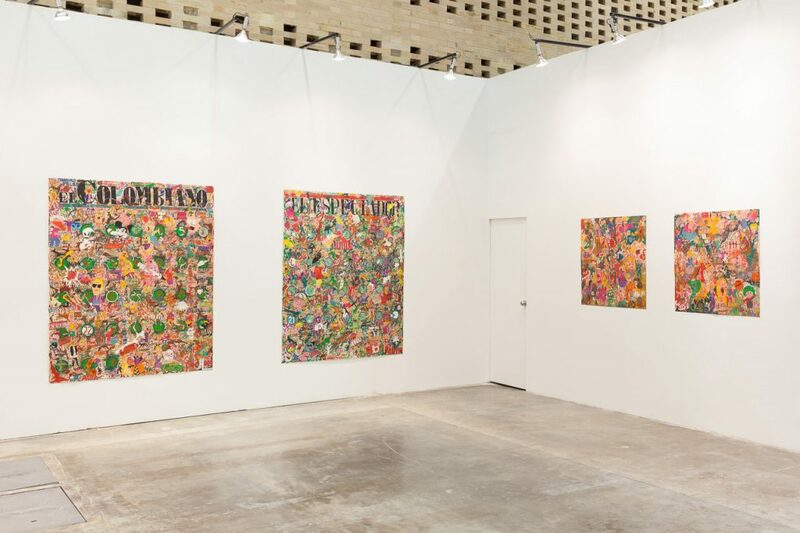 He has collected scores of new words including narcobuns, narcohippos, and narcoanguishes–among many others–and will create a work for each new word over the coming years. 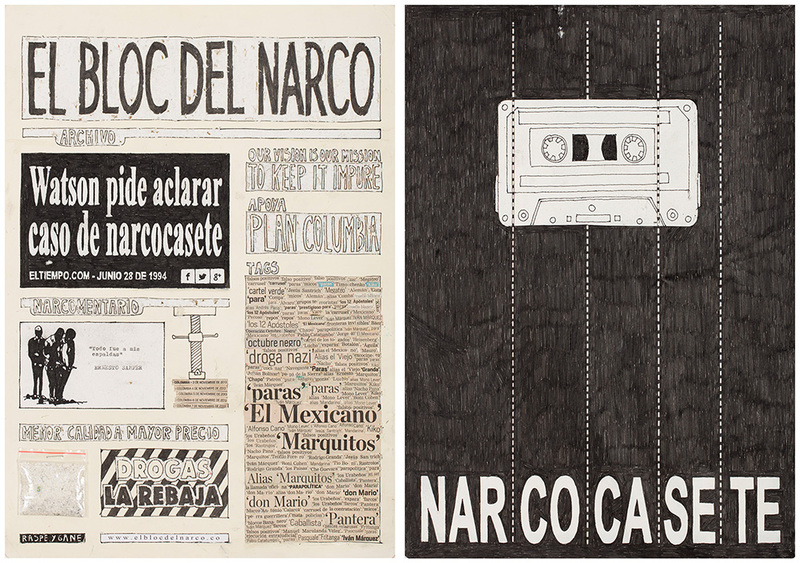 As he has done in other series, Restrepo distressed the paper on which he drew by using a knife to cut into and scratch the surface of the sheet. 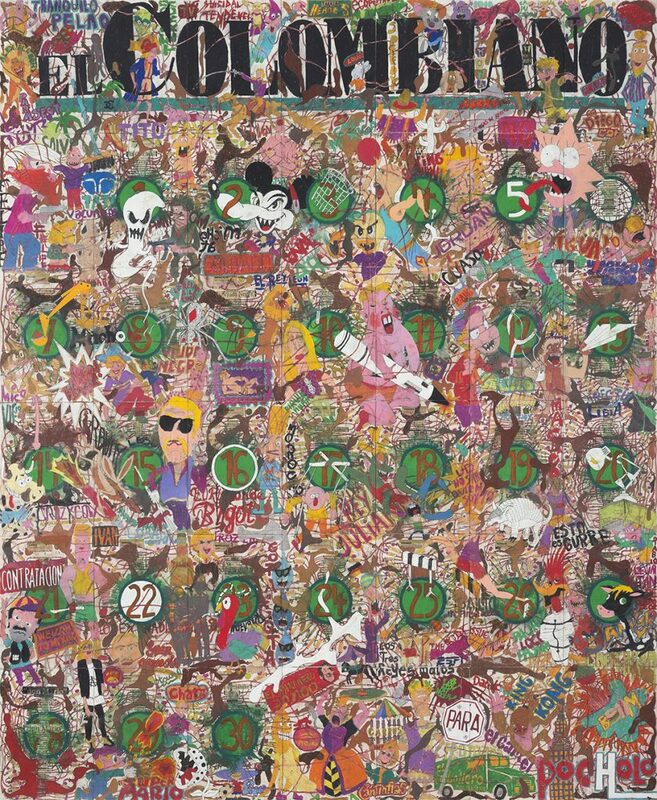 He then collected the resulting paper dust into a plastic bag, which resembles a bag of cocaine, and affixed it to the drawing. 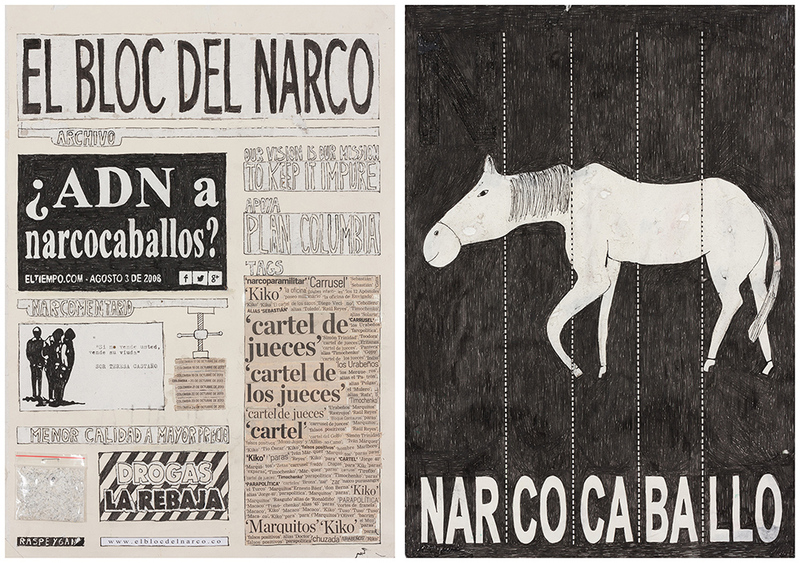 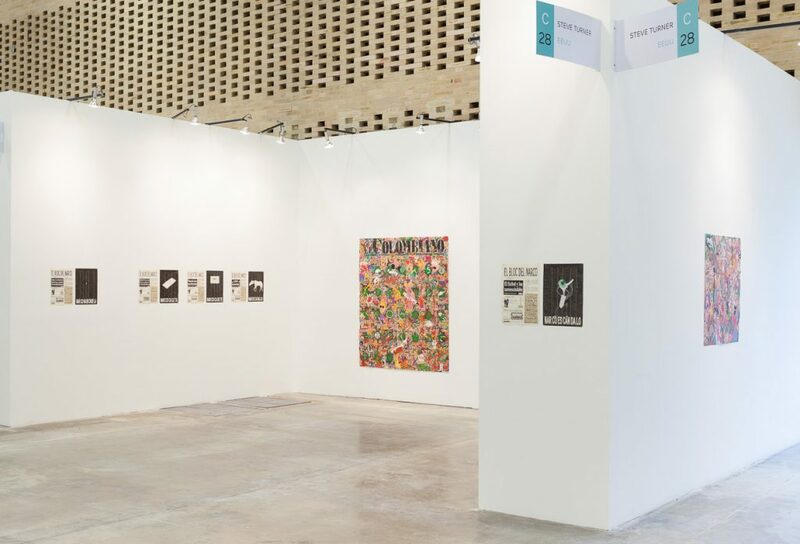 At ArtBO, the first five works El Bloc Del Narco will be presented. 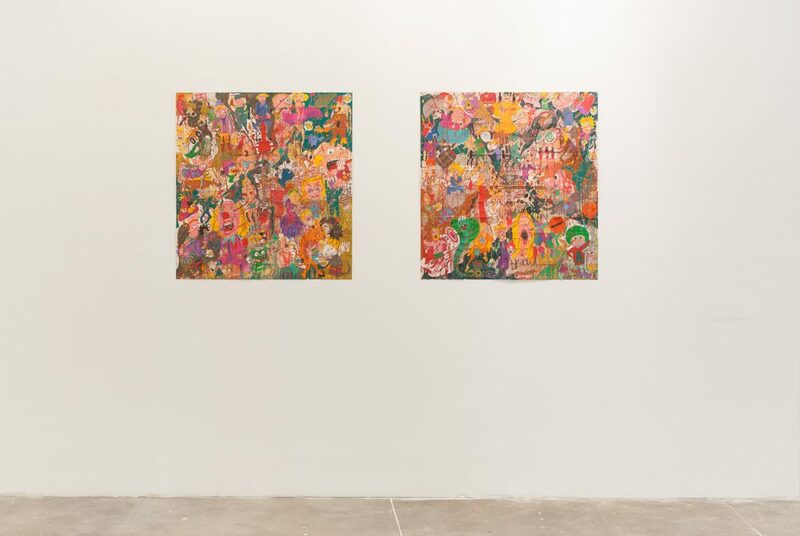 Camilo Restrepo (born 1973, Medellín, Colombia), earned an MFA from CalArts (2013) and a masters degree in aesthetics from the National University of Colombia (2008). 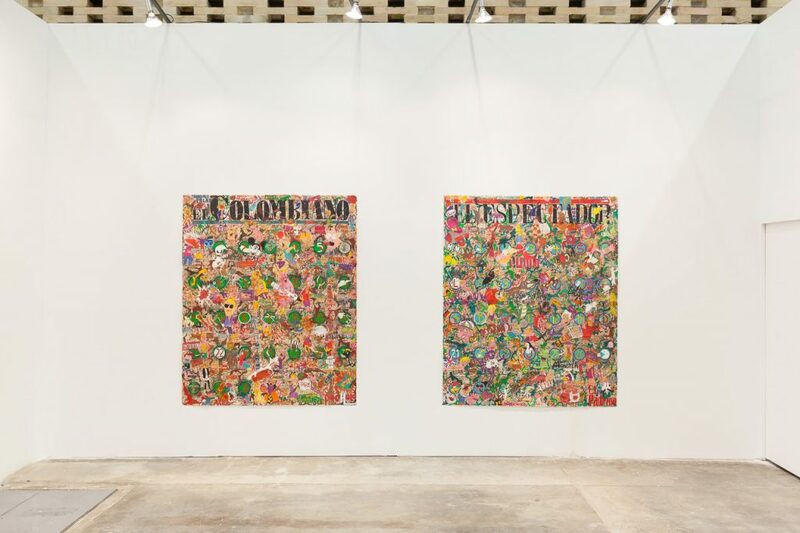 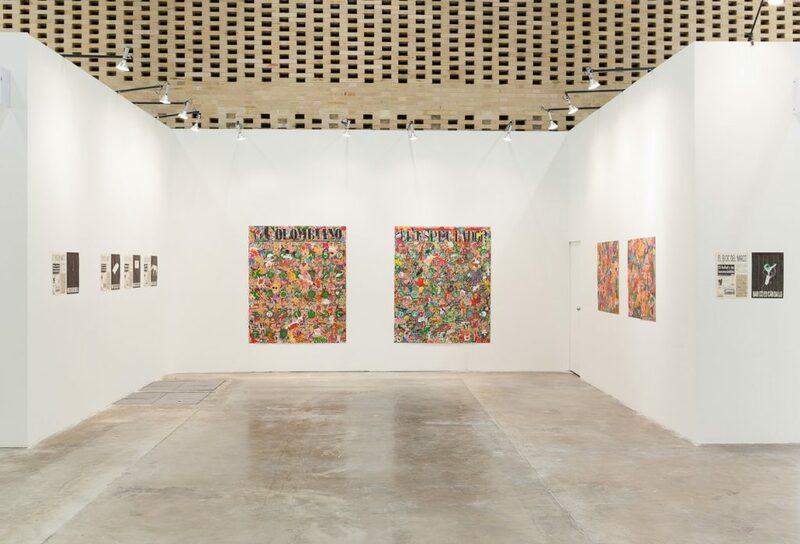 He has had solo exhibitions at Steve Turner (2013 & 2014; 2015); Arco Madrid (2015); Untitled, Miami Beach (2013); Galería Santa Fe, Bogotá (2011); Casa Tres Patios, Medellín (2010); Galeriá de la Oficina, Medellín (2010) and LA Galería, Bogotá (2009). 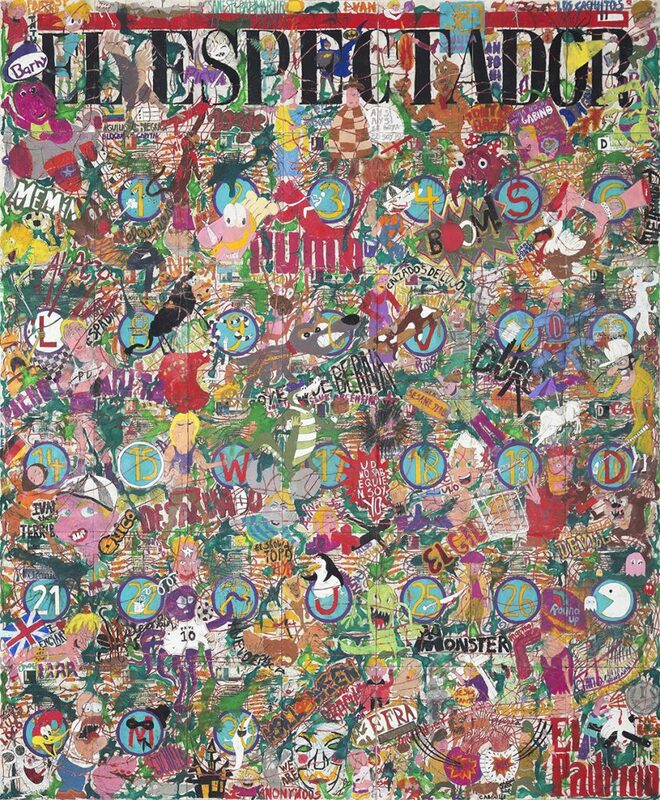 In 2010, Restrepo was nominated for the Premio Luis Caballero, the most important prize in Colombia for artist over 35.